Carrying extra weight could raise your risk of heart attack by more than a quarter, even if you are otherwise healthy.Researchers have found that being overweight or obese increases a person's risk of coronary heart disease (CHD) by up to 28 per cent compared to those with a healthy body weight, even if they have healthy blood pressure, blood sugar and cholesterol levels.The findings add to a growing body of evidence that suggests being 'fat but fit' is a myth, and that people should aim to maintain a body weight within a healthy range. Storing too much fat in the body is associated with a number of metabolic changes, including increased blood pressure, high blood sugar and altered cholesterol levels, which can lead to disease and poor health. However, previous studies have revealed a subset of overweight people who appear to lack the adverse health effects of excess weight, leading to them being classified as 'metabolically healthy obese' in the medical literature, and 'fat but fit' in the media. Now, a group led by researchers at Imperial College London and the University of Cambridge has shown that despite an apparent clean bill of health, this overweight group is still at increased risk compared to those with a healthy weight. 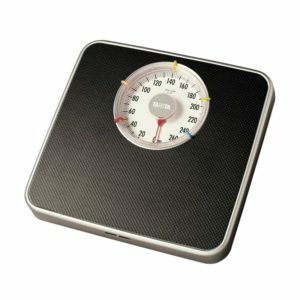 In the largest study of its kind to date, scientists used data from more than half a million people in 10 European countries -- taken from the European Prospective Investigation into Cancer and Nutrition (EPIC) -- to show that excess weight is linked with an increased risk of heart disease, even when people have a healthy metabolic profile. In the study, published in the European Heart Journal, researchers looked at the link between excess weight and risk of CHD, a condition where not enough blood gets through to the heart due to clogged arteries, leading to heart attacks. After a follow-up period of more than 12 years, a total of 7,637 people in the EPIC cohort experienced CHD events, such as death from heart attack. Researchers then selected a representative group of more than 10,000 individuals as controls, for analysis. Body weight was classified according to definitions from the World Health Organization. Those with a body mass index (BMI) over 30 were classed as obese, while those with a BMI of 25-30 were classed as overweight, and 18.5-25 as normal weight. More than half of the control group (63 per cent) were female, with an average age of 53.6 and an average BMI of 26.1.